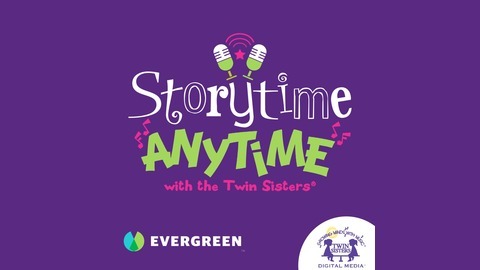 Storytime Anytime is a brand-new kids’ podcast brought to you by Twin Sisters Digital Media and Evergreen Podcasts. Music, story time, and learning go “hand-in-hand” as kids explore fun topics like dinosaurs, bugs, sharks, animals, and more! 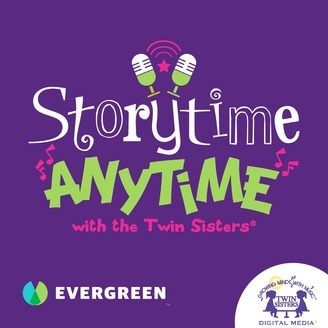 Hosted by The Twin Sisters®-- Kim Thompson and Karen Hilderbrand, and a few surprising guests, this exciting podcast is filled with great songs, adventure, and learning—exclusively for KIDS! Suitable for children ages 3+. Young entomologists will learn about What is an Insect and True Bugs. But first, they’ll sing and dance to the silly song Ants in My Pants. There are tons of amazing facts about bugs and insects that children will learn about in Know it Alls! Bugs. Then we’ll end with more singing and dancing as children learn about metamorphosis and what an entomologist does on the job. Fascinating facts and engaging songs about these amazing creatures will have kids exploring the wonderful world of BUGS! It’s the perfect combination of learning and entertainment.